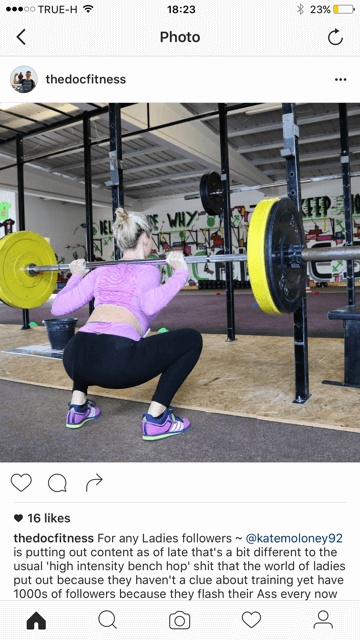 Focus: To learn and understand how Instagram can help you grow your audience and attract more clients to your fitness business. 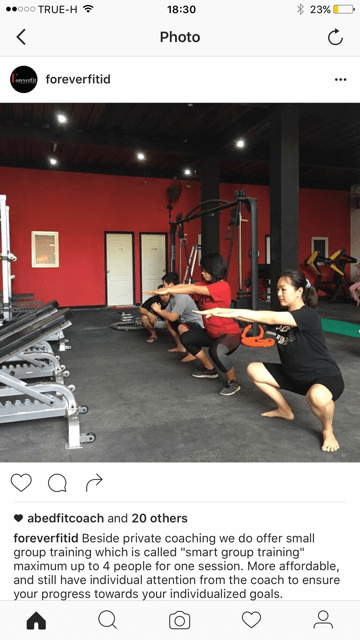 As a personal trainer, you need your clients to feel connected to who you are and what you can offer. You can use social media to do this and specifically, Instagram. 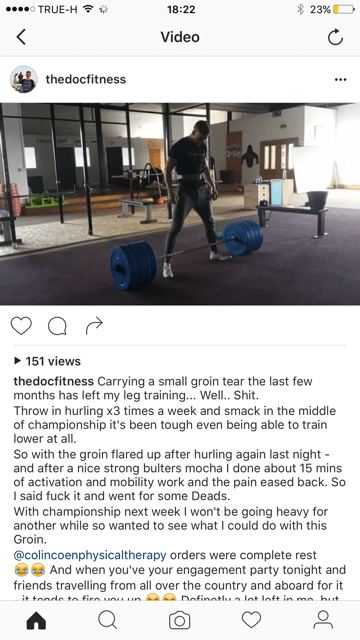 Through Instagram, you can market your PT company in a way that is visually appealing and incredibly dynamic. First, you need to understand the tool at your disposal. The fastest growing form of online marketing is sharing images and videos. As such, it makes sense to use a social network that is entirely based around this concept. With 500 million users and over 95 million posts per day, Instagram for Business has become an essential element of social media marketing. The most notable difference between Instagram and other social networks is how much attention people pay to your images. In real life, we talk about ourselves for about 30-40% of the conversation. 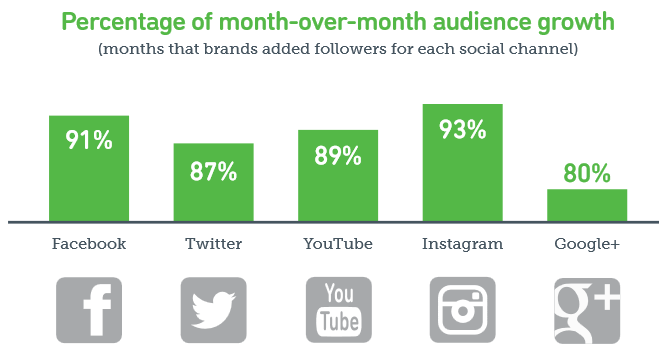 With social media, that number ramps all the way up to about double, 80%. We share photos to stay connected: 78% of people in a New York Times study gave this as their reason to share pictures. Online, we have time to position ourselves as we’d like to be seen, developing a sense of self esteem that’s more difficult to curate in real time. What will you be using Instagram for? Will it be a place to show off your internal company culture, similar to how we use ours at My Personal Trainer Website? Do you want to showcase your customers? Perhaps you’ll be using Instagram as a place to showcase customer success stories, or showcase your services. Will your Instagram be a part of your lead generation strategy? If so you’ll need to consider that users typically interact with Instagram on a mobile phone. If you have particularly lengthy forms, you may want to consider using smart content. Do you want to gain followers and then decide what strategy to go after? Until recently, Instagram had limited native analytics. But as of 2016, Instagram introduced their Instagram for Business platform with a built-in Insights tool. Now, you can see who your followers are and which posts resonate best with your audience. To get more data on your Instagram account, you can also use third-party applications like Iconosquare. 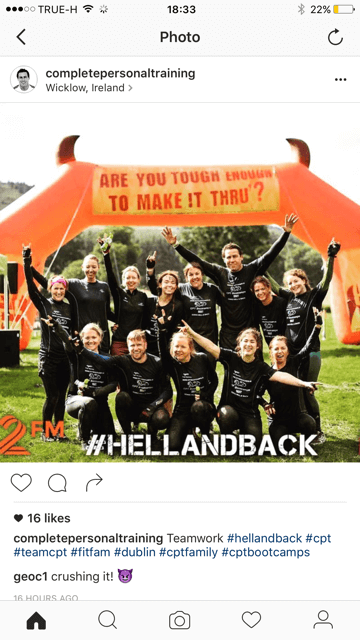 If you approach Instagram as a serious marketing tool, the impact can be momentous. The potential of marketing through Instagram is bigger than using Twitter or even Facebook. That alone should convince you this marketing tool is worth your time, so let’s get started. Before you set up your own Instagram account, start researching other businesses on the network to learn from their successes or their failures. Find businesses that are growing their brand and others that are falling short to build up your competitive intelligence and seeing how other PTs are using Instagram. Once you have conducted a little research setting up is easy. First, you need to choose a username that is appropriate to your brand and your target audience. It needs to be simple and memorable because users will often search for your business directly. Next, add a user photo. Ideally, your profile photo should be a headshot of you or an interesting logo for your business. Try to stay clear of adding a profile photo of your abs. Research suggests pictures of naked bodies is not motivating and only creates bigger dissonance and exaggerates feelings of failure. If you want to be taken seriously, take a serious profile picture. It goes without saying, if nobody can find your profile, how will they follow you. Be sure to add your name or business name to the “Name” section in settings. This will appear under your profile picture and handle when a user searches for you. Add a link to your website or an Instagram specific offer on your website to make it easier for followers to go straight to your website! Add your location to your settings and your posts. If you take beautiful, inspiring or motivational posts (again, not your abs), people will more than likely be interested in where the photo was taken. When creating your profile, think about the brand that you are building. Give it a unique, visual feel to help your business stand out online. Content that relates to your followers will get more engagement. But unless you’re an Instagram model, the content should not be endless pictures of your great body with “motivational” stories about how you achieved such greatness. That’s only inspiring if you’re a war veteran. Instead, post content that is specific to where your clients are. For example, an image of rice and fish because “you’re cutting for a holiday” only reinforces to your followers who struggle with food that eating right is hard. Whereas a healthy recipe that’s easy to make and doesn’t cost too much will genuinely help your followers break bad easting habits. We’re not talking photographer quality images here but your photos do need to follow a few rules to make them easier on the eye and likeable. Make sure your images aren’t pixelated or blurry and follow the rule of thirds. The rule of thirds states than an image is most pleasing when its subjects or regions are composed along imaginary lines which divide the image into thirds — both vertically and horizontally. The rule of thirds is all about creating the right aesthetic trade-offs. It often creates a sense of balance without making the image appear too static, and a sense of complexity without making the image look too busy. Quality photography is essential if you want your images to be shared and your profile to be popular. One useful note is to shoot all of your photos square, at least to begin with. This will ensure you don’t have to crop images, losing key details of the picture. 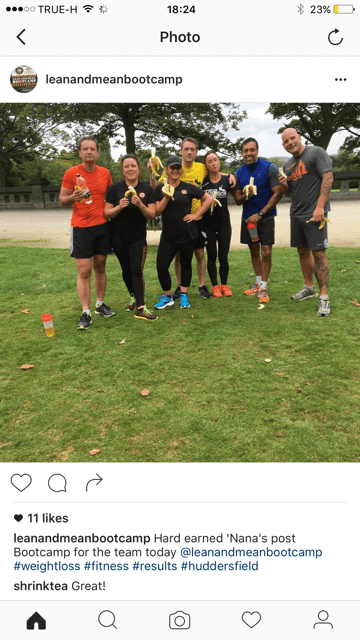 Filters, tags, links and hashtags are all great ways to customise your photos and brand your fitness business along the way. If you choose to use filters, be sure to use the same filter so users recognise your business in their feed. Tag clients who you think might be interested and use hashtags that are popular in your niche to expand a posts reach. Every now and then, you’ll need to create a promotional post. A post that promotes a specific service, content or product in your business. This means the user will need to click a link and navigate away from the Instagram news feed. If you need a follower to take action, TELL THEM they need to take action. Instruct them to click on a link, comment or like your post. Driving traffic is the most important part of your Instagram marketing strategy. Without traffic you have no followers, with no followers you have no leads and no leads means no clients. 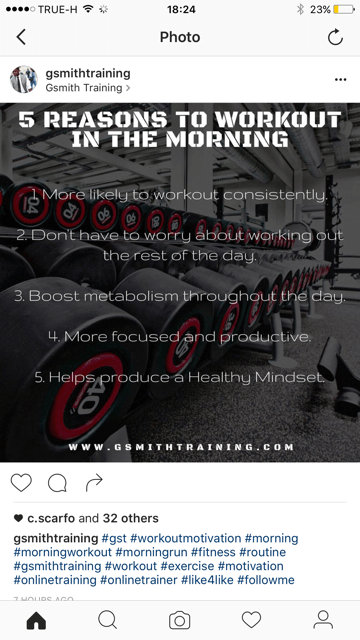 Click on the images below to view what type of post they are and find inspiration for your own Instagram marketing strategy. You can either create your own hashtags or use the ones that are currently trending. With creativity, it’s easy to fit trending hashtags into your marketing campaign. You can use Instagram’s Explore feature to find hashtags that are relevant to your brand. This will help new customers discover your business. In August 2016, Instagram introduced a new feature called Instagram stories. While traditional Instagram posting is reserved for creating picture-perfect content for users, to engage with stories is all about posting quick, transient moments without worrying about over-posting. Stories are hosted on a different part of the Instagram platform. While your feed will continue to show your traditional content, Stories live at the top of the feed. Your traditional content can be liked and commented on, but your Stories can only be viewed so there’s no real feedback loop on how much your audience likes this new format. They are meant to be quick, unfettered bits of content to showcase snapshots of your business. Stories aren’t completely understood yet so focus more on creating quality posts for traditional Instagram content, and use Stories for quick, silly content. 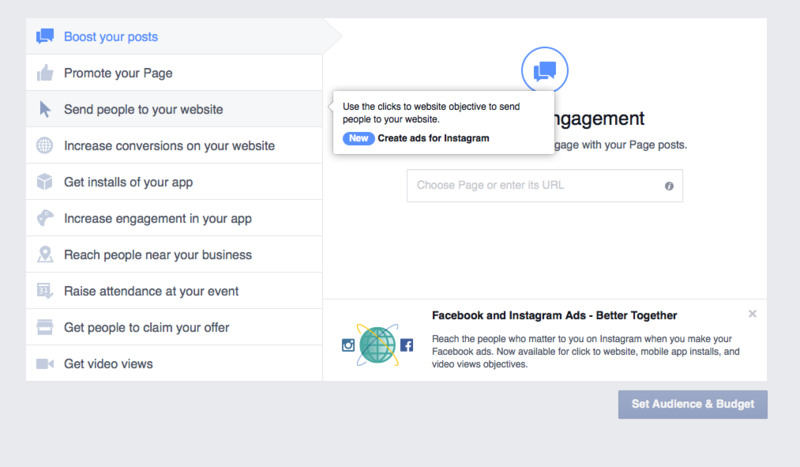 ​You can use Facebook Ads Manager to create ads for your Instagram profile. This is one of the easiest and fastest ways to produce high-quality content, and it’s incredibly simple. If you have a Facebook page, you just need to click on Create Campaign. ​You can then move forward through the easy to follow steps that Facebook provides in the same way that you would create a Facebook ad. You can select your target audience and the amount you want to spend on your ad. When selecting your content, you can choose from videos, photos or groups of either. You can use the same photos for marketing on both profiles or select different content. It’s entirely up to you. We recommend using different marketing on each profile as that will make both unique for your followers. After this, you can start adding text or links that you want to be included in the ads. You can then include a call to action and preview the ad. The ad will then appear on your Instagram business page. This is a cool, quick way to promote your business to your Instagram followers and run a connected campaign. 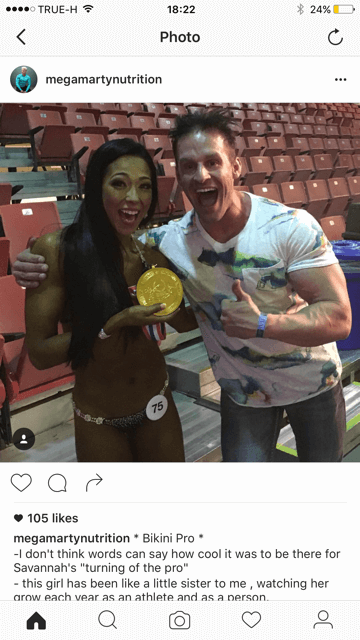 You then need to think about how to make sure your ads stand out on Instagram. Previously, posts on Instagram had to be square. Now, you can add landscape images to your Instagram page. Since these look different from typical content, they will stand out more. It also allows you to include more in the content that you share. With carousel ads, you can tell a story rather than just showing your users one image. By doing this, you create a narrative that they find appealing. 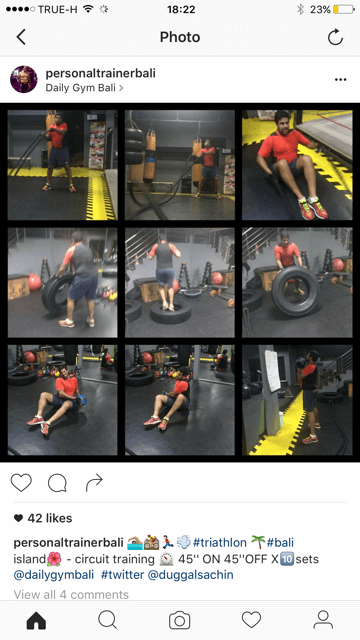 You can use this to promote a product or service that you offer as a personal trainer. ​Adding a video advertisement is a great way to pique the interest of your followers. However, you need to make sure you catch their attention immediately. As such, the first few moments of the video must be appealing and interesting. Otherwise, the user will continue to scroll down. 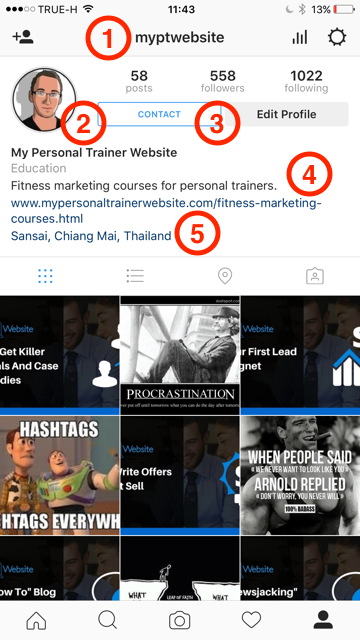 You need to run your Instagram marketing in a way that is both structured and coordinated. New content should regularly be added to a previously planned release schedule. Essentially, your Instagram should run like clockwork. 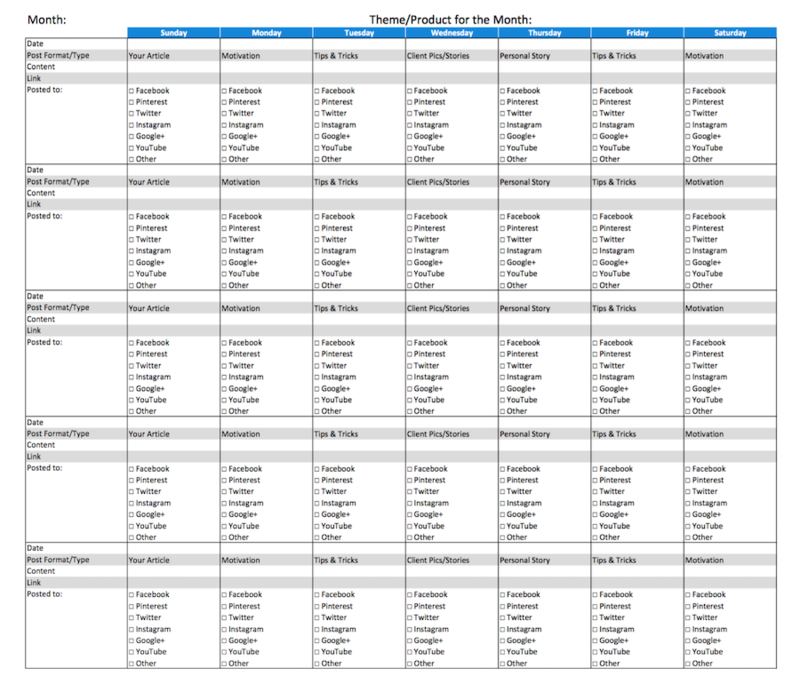 You may want to use a social media content calendar. A social media content calendar can be used to record when you are posting on Instagram, organising by date and time. This should have a record of how effective the content has been. 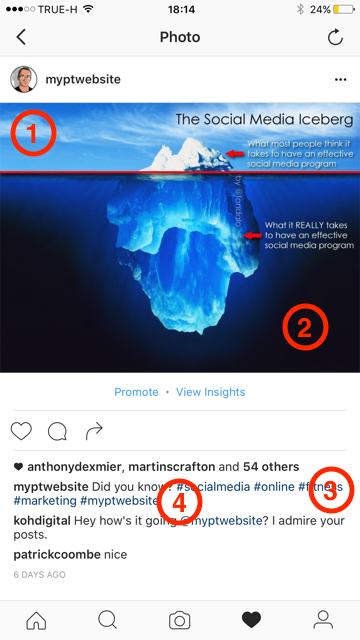 Check whether content on Instagram has achieved the objective. If it hasn’t, you’ll know not use similar content in future. Click the image to download your Monthly Social Media Content Calendar. PTs might find a bulk uploading tool, such as Hootsuite and Grum, useful. Hootsuite and Grum are great because you can post massive amounts of content at the same time. Up to 250 pieces of content can be shared across social media including Instagram. ​As a personal trainer, you might have a busy schedule. You don’t have time to spend hours trying to regularly schedule your Instagram posts. With software such as this, you don’t need to. 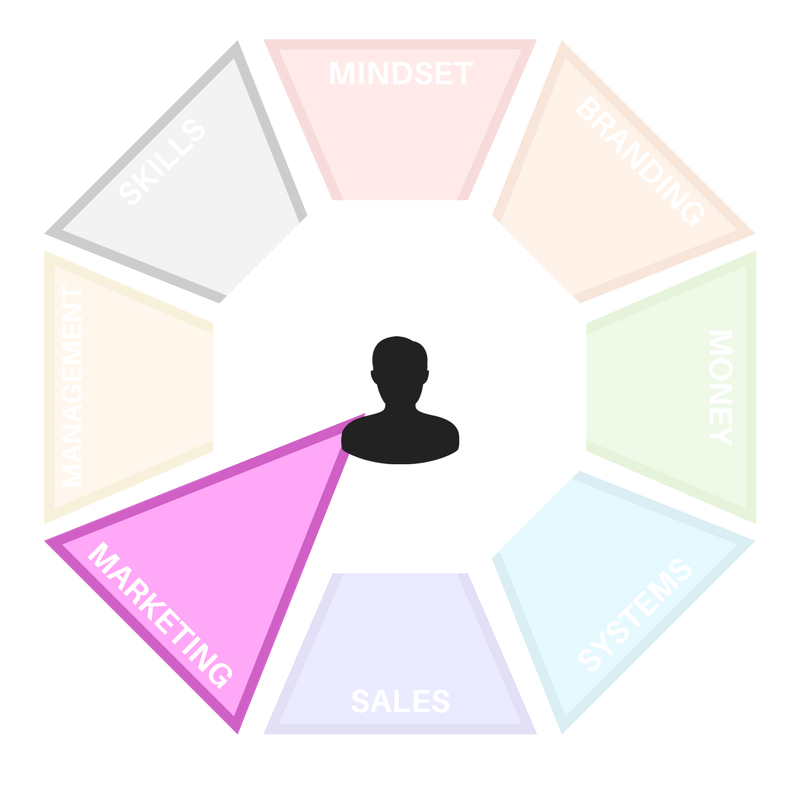 It can be completed automatically, allowing you to focus on client engagement. ​As you can see, there are plenty of different ways to use Instagram to your advantage. Adding content and producing advertisements, you will build up your brand and convert followers. It’s important as PT to approach this strategically. You need to plan a structured campaign that will lead to results. Your Instagram account needs to be public so you can gather new followers. Head to your Instagram settings and edit your privacy settings in Edit Profile. It's your call. Using your name helps to humanise your brand and makes it much easier to integrate people in to your growing community. People like people. It's up to you. You can either set up a recurring schedule for your evergreen content like blog posts or post when you feel inspired. I suggest doing BOTH so that there's always something new to see in your new feed.